which attack do you like better? which name do you like better for ichgo's weapon? do you think sakura(from naruto) looks like ichigo? Everythings changen over nihght your tellen me thats just not right weres the girl you used to know because shes better than ever so come on lets go its supernatual it sobrenatural its understood you gotta belive a little change is you gotta belive a little change is supernatual. The sino went alarmingly, and it startled Ichigo, as she instantly got up and went to leave school. If you want your character to be in this, fill out this form! Appearance: Long brown vibrant hair, big blue/grey eyes, oval face, full lips, she usually wears her school uniform, a voilet scarf, wih a black bow, grey camisa and skirt, voilet socks and black shoes. 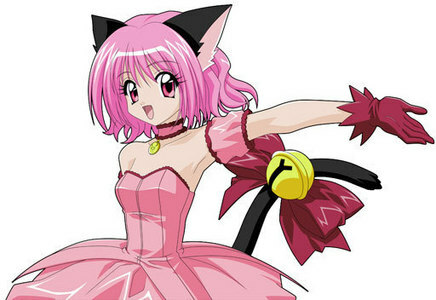 a comment was made to the pop quiz question: In toyko mew mew what does Mew morango say when she transformed? which girl is this mew ?